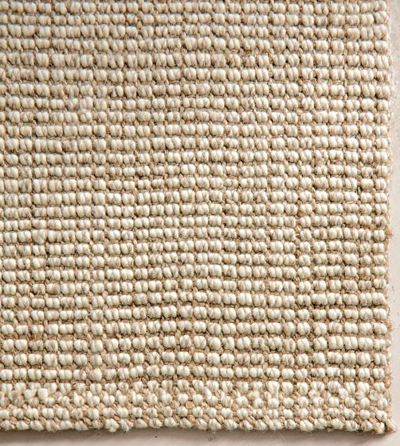 This thick, all-natural Chunky Wool & Jute Rug is created from soft, fast-growing jute that is bouclé-woven by hand over a base of unbleached wool. $179-$699 Sale $152-$594. Buy here.